Bacardi plays an influential role by engaging with LDA consumers on responsible drinking and create consumer campaigns to do this in regions where we operate. 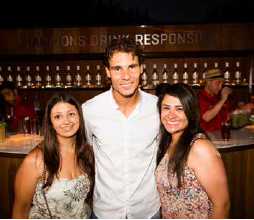 In fiscal 2014, we continued our flagship responsible CDR drinking campaign with our Global Responsibility Ambassador and world tennis champion Rafael (Rafa) Nadal. The messages are designed to give people useful and practical suggestions for behaviors that help them enjoy themselves safely – creating The Champion’s Way. We are proud that CDR was a finalist for Best Responsible Drinking Campaign at the 2013 Drinks Business Awards, the most authoritative, internationally respected badge of achievement in the alcohol drinks industry. We advanced this well-established program through many exciting activities in fiscal 2014. In April 2013, just ahead of the Monte Carlo Masters, we hosted a CDR event featuring Rafa. Journalists from six countries attended to hear about our latest progress and activities. There, Rafa unveiled the launch of the T-Sign Facebook app. The app allows fans to show their support for The Champion’s Way by uploading images of themselves doing the T-Sign during their own responsible drinking time out. Following the event and launch of the T-sign app, the CDR Facebook fan base increased by an impressive 212,236 fans in just one month. Another exciting moment in Monaco was the announcement of CDR prize event, The Champion’s Party that took place in Rafa’s island home of Majorca, Spain in July 2013. 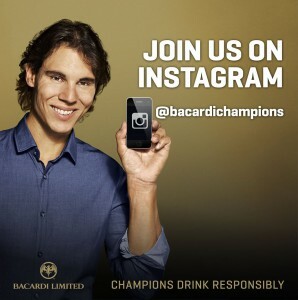 Bacardi offered fans the opportunity to Mix with Rafa at The Champion’s Party by answering three important questions about responsible drinking. More than 25,000 people from 34 countries entered the drawing. 120 people were given an unforgettable VIP weekend. The party featured cocktails and alcohol-free mocktails made by world-class Bacardi mixologists. Rafa worked closely with the CDR team in planning this exciting event to celebrate responsible drinking with fellow champions. In addition to the T-Sign app, we launched the Mixlab Facebook app in September 2013. This app teaches consumers to make delicious mocktails based on their own preferences with a list of easily accessible ingredients. CDR also took advantage of new social media methods by launching an Instagram page to help spread our responsible drinking message. The Instagram page has successfully encouraged fans to share their own pictures of mocktails, T-Signs and more. By the end of fiscal 2014, not only was the CDR Instagram gaining popularity, but also our Facebook community had grown to 1.1 million fans. 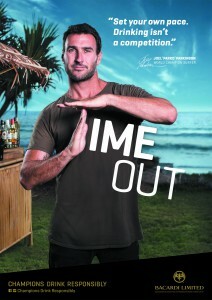 In fiscal 2014, Bacardi began working on a local-market campaign in Australia, featuring world champion surfer Joel Parkinson. We believe Joel is the ideal champion to help us spread our responsible drinking message Down Under. Bacardi U.S.A., Inc. is a member of the DISCUS, the national trade association representing America’s leading distillers, which covers nearly 70 percent of all distilled spirits brands sold in the United States. The Bacardi Regional President for North America sits on the board of DISCUS, and we participate in all committees. In fiscal 2012, DISCUS in the United States and EFRD in Europe (a predecessor organization to spiritsEUROPE) launched a joint set of responsible, digital marketing guidelines. The organizations agreed on a common approach to self-regulation of digital and social media communications, with the new guidelines building on both organizations’ experience in this area. The guidelines cover spirits advertising through social networking sites, blogs and mobile apps, as well as govern user-generated content on digital platforms. Between EFRD and DISCUS, the new guidelines cover spirits marketing in the world’s largest alcohol advertising markets. The spirits industry is heavily regulated and is a significant contributor to local economies. Because of this, we believe that the interests of Bacardi and our industry often are represented more effectively by working closely with trade associations in local markets on both regulatory and social aspects. Our local managers are encouraged to get involved with the policy-making objectives of these local bodies and, in more significant markets, to chair associations and sit on leadership committees. In addition to having significant positions in global or regional organizations, such as DISCUS, CEPS (another predecessor organization to spiritsEUROPE) and GAPG, Bacardi representatives held leadership roles in local associations in Russia, France, Italy and Chile in fiscal 2013. In developing markets, where industry representation is not so advanced, our external affairs executives support the establishment of spirits trade associations and, drawing on our global experience, assist trade associations that are newly established. Bacardi is very active in participating in local initiatives that are coordinated and led by local industry organizations. We recognize that educating consumers in responsible drinking is a key business imperative and part of our long-term brand building. Bacardi USA is a proud supporter in the fight against underage drinking and drink driving through our contributions and participation on the board of The Century Council (now known as the Foundation for Advancing Alcohol Responsibility). In fiscal 2014, The Century Council continued its long-standing commitment to promoting responsible decision making through its many initiatives. This year, awareness for the well-established Ask, Listen, Learn initiative grew across the United States with the help of lawmakers, attorneys general, professional athletes and other influence makers. This program helps adolescents (ages 9-14) learn about the negative consequences of underage drinking so they can say YES to a healthy lifestyle. In 2013, The Century Council visited schools across the United States to spread its message with the help of an interactive game. More than 31,000 people attended these events. Ashley Wagner, a two-time U.S. national champion figure skater, teaches kids to say NO to underage drinking and YES to a healthy lifestyle through the Ask, Listen, Learn program. In August 2013, The Century Council launched the #TalkEarly initiative, empowering parents to help their kids form healthy attitudes about alcohol. To inspire conversation between parents and their children, The Century Council joined forces with influential parent bloggers. Aside from initiating healthy conversations at an early age, the program also cautions parents about any social media content that makes light of drinking alcohol. In January 2014, The Century Council launched iDecide, a campaign to inspire teens to say NO to underage drinking. The iDecide campaign features young actress Bella Thorne. She appears in public service announcements (PSAs) celebrating the courage it takes for teens to make their own decisions and set good examples by not drinking. The campaign premiered with a PSA that aired during the Progressive Skating and Gymnastics Spectacular on NBC. On the iDecide website, Twitter and Instagram there are details and additional videos featuring both Bella and NBA superstar Shaquille O’Neal. Visit http://www.bellaidecide.com/. Shaquille O’Neal teaches teen actress Bella Thorne how to drive safely in iDecide’s latest video shoot. In Quebec, Bacardi has partnered with Educ’Alcool to promote responsible consumption. Educ’Alcool promotes a healthy lifestyle with a lowrisk drinking method developed by an expert committee. The goal of Moderation by the Numbers, 2-3-4-0 is to educate Quebec’s population about proven and tested healthy drinking patterns for adults. 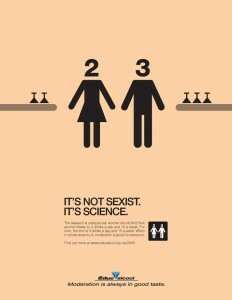 The numbers represent the maximum number of drinks a woman should drink in a night (two), the maximum number a man should drink in a night (three) and the maximum that should be allowed for a special occasion (four). The zero represents abstaining at least one day a week to help avoid physical and physiological addiction. This message of moderation is shared through video and print ads that direct the audience to a dedicated webpage with more information. There also is a publication on all aspects of healthy consumption. Visit educalcool.qc.ca. Since its launch in March 2012, Bacardi’s Slow Drinking Campaign in France has achieved great success. The campaign promotes a philosophy of quality over quantity by emphasizing perfectly measured drinks, drinking water to freshen the palate and always pairing drinks with food. he Slow Drinking website, launched in both France and Italy, helps spread the program’s principles by educating consumers on the best and most responsible ways to enjoy our products. In fiscal year 2014, Slow Drinking offered coupons with suggestions for food pairings – and placed health information on shelves at points of sale. 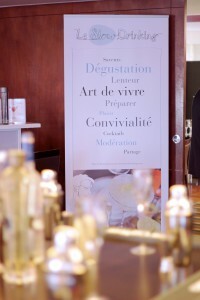 In addition, Bacardi in France hosted cocktail workshops to further advance the Slow Drinking principles. All participants received a jigger and recipe book for making perfectly measured cocktails. Visit www.slowdrinking.com. Since 2005, Bacardi has promoted responsible drinking and drinkdriving prevention among LDA German consumers with our Driver’s Corner initiative. In fiscal year 2014, this longstanding program fought drink driving in creative new ways. 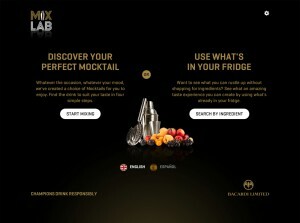 Bacardi offered freshly mixed mocktails to designated drivers at over 20 events in Germany and Austria. At the Driver’s Corner Bar, the designated driver of each group was invited to take an alcohol test. Upon passing, participants received a Designated Driver’s License, entitling them to free soft drinks and mocktails for the evening. Designated drivers were also given a gift at the end of the event after passing a second, voluntary alcohol test. This successful, positive perspective on designated driving reached more than 24,000 drivers and passengers. Visit www.driverscorner.de. In the United Kingdom, Bacardi and Brown Forman are working together with the Department of Health to foster a culture of responsible drinking. This includes pledging to create labels with precise alcohol content information and appropriate warnings. The program also links with various health organizations to explore the most effective ways to disseminate responsible drinking information. In addition, Bacardi and Brown-Forman support the UK Drinkaware campaign Why Let Good Times Go Bad? It educates collegeage students on the benefits of moderation over excess. Visit www.drinkaware.co.uk. The Netherlands social aspect organization (of which Bacardi is a member), Spirits NL, launched a campaign in fiscal 2014 encouraging LDA consumers in the region to Drink Wiser. The program features a website with a drink calculator, facts and stories to remind consumers that alcohol in any form may cause impairment. The central message of the initiative is Alcohol=Alcohol=Alcohol. Via the website, as well as flyers and door-hangers, Spirits NL informs the public about the realities of alcohol and the effects it has on the body. Visit http://www.drinkwijzer.info/. The FEDERVINI Stile Mediterraneo campaign promotes a responsible, moderate and conscious way of drinking based on values of the Mediterranean lifestyle. In fiscal year 2014, FEDERVINI created a new website and Facebook page to highlight benefits of moderation over excess. 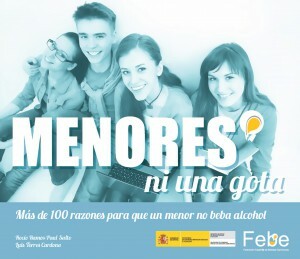 The Spanish social aspects organization Federacion Espanola de Bebidas Espirituosas (FEBE) collaborated with the Spanish Health Ministry to launch “Menores, ni una Gota” (Children, Not a Single Drop) in January 2014. The 18-month initiative aims to impress upon parents and children alike that the only option for minors is absolutely zero alcohol consumption. To raise awareness of the risks, FEBE has created an educational guide for parents and educators. These guides are backed by Spanish celebrities who, too, are parents first. Drinkwise Australia (of which Bacardi is a member) launched a 2014 initiative to promote responsible drinking among 18-to-24 year olds. To combat poor drinking choices prevalent among some in this age group, DRINKING – Do it Properly encourages self-reflection so young adults can better understand how their drinking choices influence their lives. The program has a strong social media presence including a dedicated website, as well as Facebook, Instagram, Twitter and YouTube pages. In a short time, this campaign has gained thousands of followers. Visit www.howtodrinkproperly.com. Bacardi is a founding member of the social aspects organization Fundación de Investigaciones Sociales AC (FISAC). The organization’s recent Myths and Realities campaign combats drink driving with the message, “if you drink and drive, you will pay the price” and debunks common myths about how to “beat” a breathalyzer. In 2013, FISAC ran workshops, reaching over 2,000 people face to face. 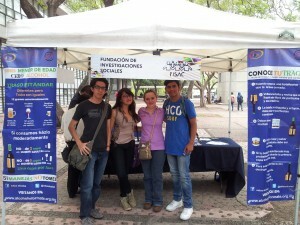 Visit http://www.alcoholinformate.org.mx. We promote responsible drinking through Bacardi’s joint commitment with the Brazilian Beverages Association (ABRABE). The No Excess initiative aims to discourage Brazilian partygoers from unhealthy binge drinking. In February 2014, the program website and Facebook page wererefreshed to encourage Carnaval celebrators to practice healthy drinking habits. During this time, the campaign’s messages were broadcast on Brazilian radio, as well as on a plane flying over beaches of Rio de Janeiro. The campaign successfully encouraged responsible fun and gained more than 500,000 Facebook followers. 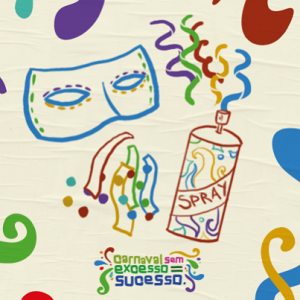 Visit http://semexcesso.com.br/campanhacarnaval- 2014-sem-excessosucesso/. Chile’s social aspects organization La Asociación Gremial Chilena de Empresas de Bebidas Espirituosas Pro Consumo Responsable APROCOR recently refreshed its Ideas Jovenes (Young Ideas) initiative. This program encourages young people to think seriously about responsible drinking habits and safe driving in a fun, interactive way. The Thai Foundation for Responsible Drinking (TFRD) continued its RU20 campaign in 2013. The program educates teens about the dangers of underage drinking. Its main focus is to reach youths on the community level and make them aware of the many risks associated with drinking before the legal age. TFRD also works with sellers, vendors, retailers and government organizations on the importance of enforcing the legal drinking age. So far, this initiative has reached over 40,000 underage individuals.